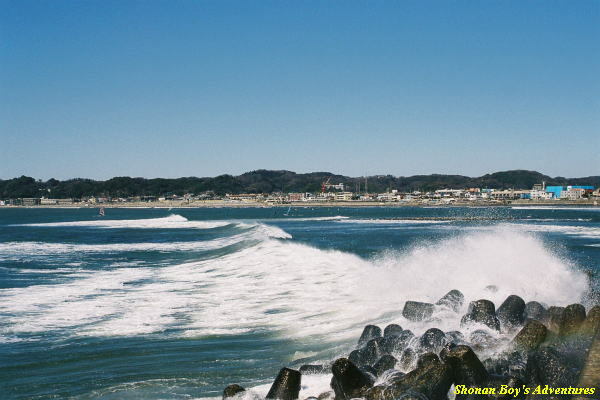 Yui-ga-hama This beach is shallow to a considerable distance from the shore, and popular. Many people enjoy surfing, and some people do windsurfing. Especially it is crowded in Summer. 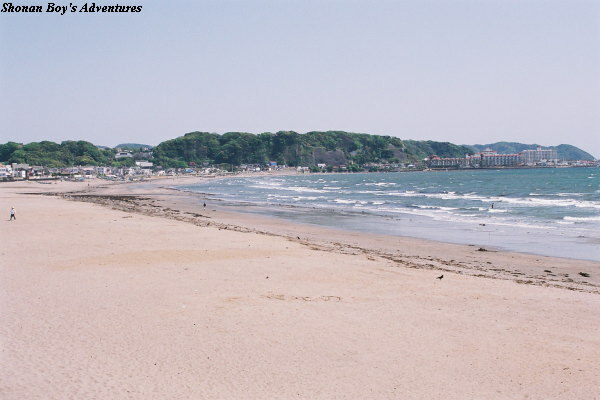 It is convenient to go by car because there is a parking lot by beach. Next to Yuigaham, there is Zaimokuza Beach (Zaimokuza-kaigan, in Japanese). From "Hase" (not Yuigahama) station of Enoden, 5 minutes walk. From "Kamakura" station of JR Yokosuka line, 15 minutes walk. Tsurugaoka Hachimangu & Jinrikisha (rickshaw) Many people say that Kamakura reminds them of "Tsurugaoka Hachiman-gu". 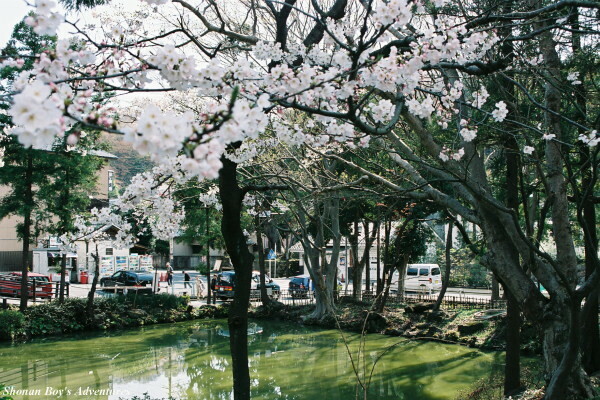 In Kamakura Era, Kamakura Government's events and ceremonies were held here. 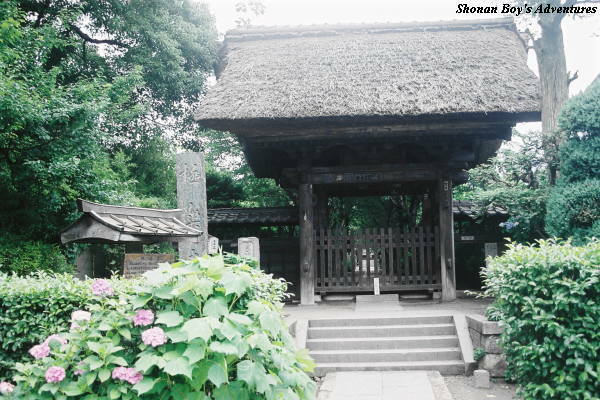 Originally it was "Tsurugaoka Hachiman-gu-ji" that had mixed with Shintoism and Buddhism. After the Meiji Restoration, Buddhism things were sent out because it was divided Shintoism and Buddhism in Japanese law. 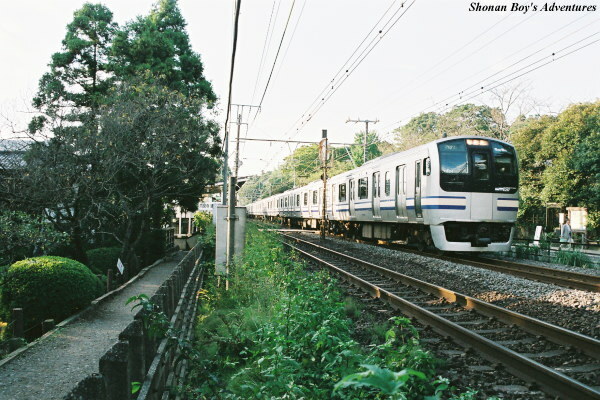 From "Kamakura" station of JR Yokosuka line, 10 minutes walk. 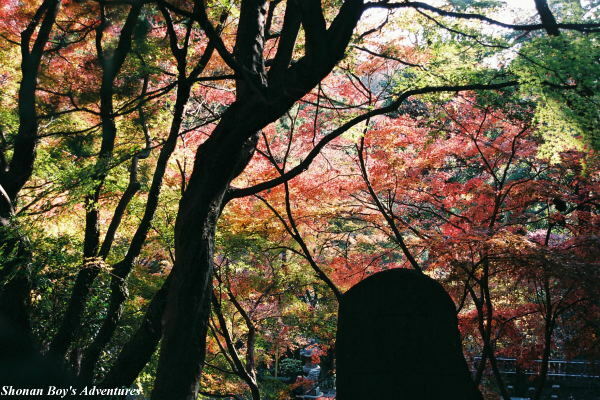 From "Kamakura" station of Enoden, 10 minutes walk. Many foreign visitors visit here. Originally Kamakura Daibutsu had been coated with gold. The earthquakes and heavy winds had attacked it over and over again and a house of Daibutsu was destroyed. Whenever it happened, it was restored. In 1495, big earthquake and tsunami attaked it, a house of Daibutsu was not restored, and it has been exposed to the weather. That is why gold was peeled. Please check the business time and holidays before you visit. From "Kamakura" station of JR Yokosuka line, take the "Enoden Bus" or "Keihin Kyuko Bus (Keikyu Bus)" bound for "Daibutsu" or "via Daibutsu". Get off at Daibutsu. But the road is very crowded. 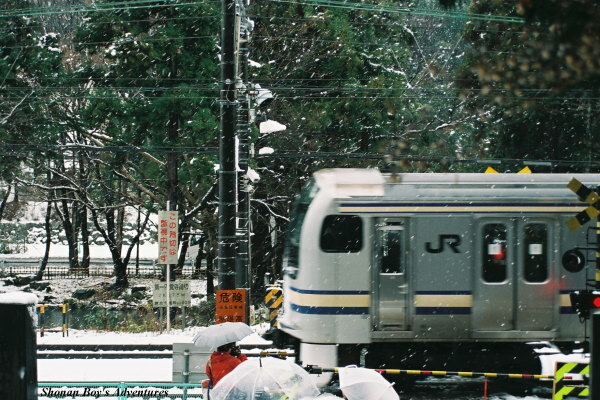 Sometimes it is earlier to take the train to Hase, and walk. 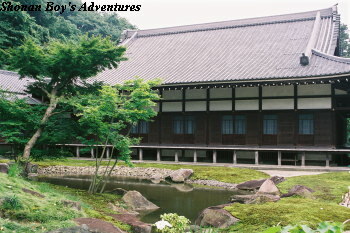 Also known as Gokurakuji Ryokan, a temple of the True Word Precepts (Shingon-Ritsu) School. His name was Ninsho, also was Gokurakuji Ryokan-bo-Ninsho (Lay priest, Gokurakuji Ryokan). He performed acts of charity, such as cutting a road (Gokurakuji Kiritooshi), sinking wells, establishing an orphanage, a facility for taking medicines for poor people. On the contrary, during the great drought of 1271, Ryokan vied with Nichiren in praying for rain and failed. After that he contrived to have accusations brought against Nichiren., which eventually led to the Tatsunokuchi Persecution, in which Nichiren came near to being executed, and Nichiren's subsequent exile to the island of Sado. For many years Ryokan harrassed Nichiren and his disciples, both openly and covertly. Please check the business time and holidays before you visit. 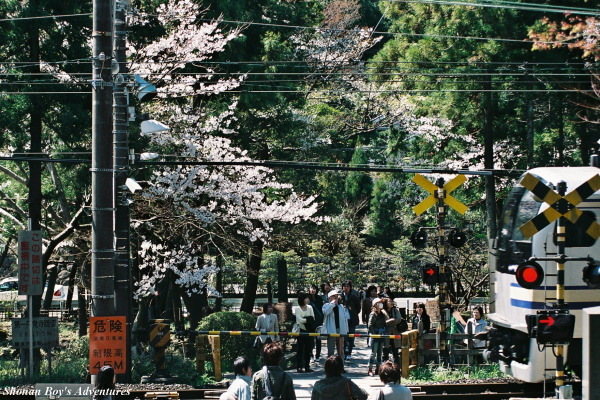 From "Gokurakuji" station of Enoden, 2 minutes walk. It was established in 1282, and it is Rinzai school. Executive "Hojo, Tokimune" had emblaced Zen, and "Mugaku Sogen" was the Zen master from China who Tokimune looked up to. The temple was given the name of Engaku after Engaku-kyo (Perfect Enlightenment Sutra), dug out of the selected building site, in a stone chest. This temple is bigger in Kamakura. 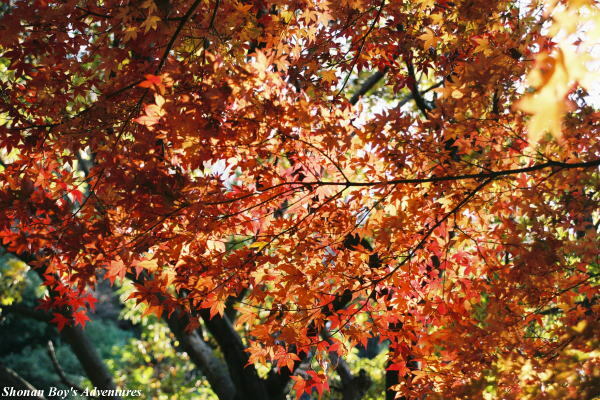 Japanese maple at Engaku-ji is very beautiful! Please check the business time and holidays before you visit. From "Kita-kamakura" station of JR Yokosuka line, 1 minute walk. 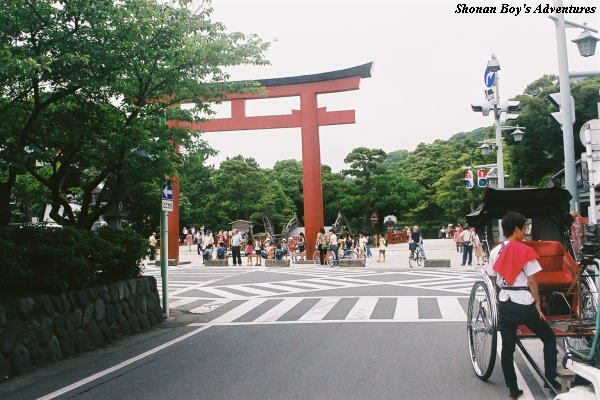 Some people use Jinrikisha (rickshaw) for sightseeing. Below photos are at entrance of Engaku-ji. It is located in front of a crossing of JR Yokosuka line. hydrangea It was established in 1160, and it is the temple of Kenchoji branch of Rinzai school. 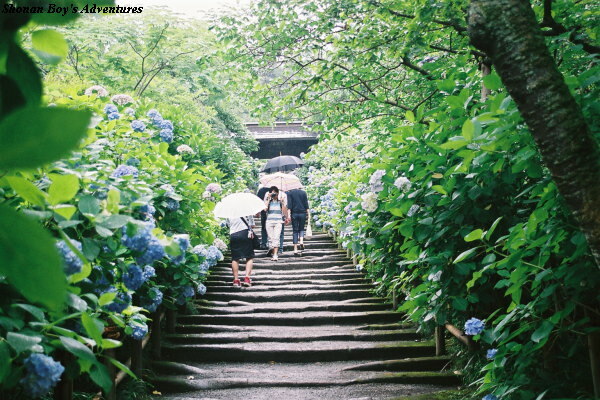 This temple is famous for the name of "Ajisai-dera", "Hydrangea temple" in English, and visitor can see beautiful hydrangea flowers. Please check the business time and holidays before you visit. From "Kita-kamakura" station of JR Yokosuka line, 10 minutes walk. 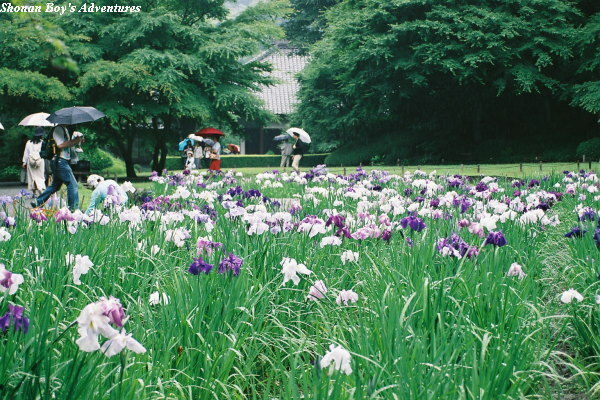 It was constructed by order of the Emperor Gofukakusa during the regency of Hojo Tokiyori (1227-1263). Work was completed in 1253, the fifth year of the Kencho Era, from which the name of the temple is taken. The founder of Kencho-ji was Rankei Doryu (Lan-hsi Tao-lung, 1213-1278). He left China in 1246 to teach Zen in Japan, spending several years in Kyushu and Kyoto before coming to Kamakura to found Kenchoji. This temple is Kencho-ji branch of Rinzai school, and the oldest Zen training monastery in Japan. Please check the business time and holidays before you visit. From "Kita-kamakura" station of JR Yokosuka line, 15 minutes walk. In 1243, it was established by order of Hojo Tsunetoki, and the founder of Komyo-ji was Kishu Zenji. 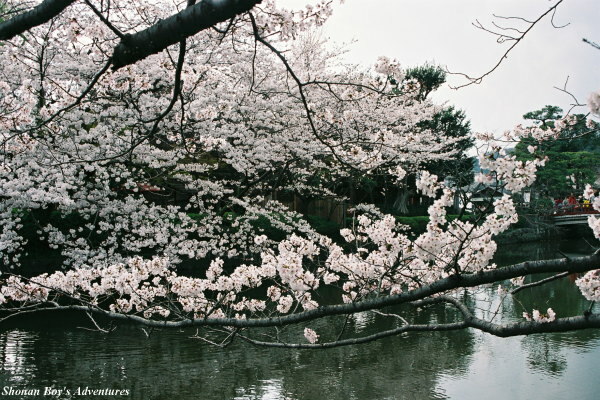 Depending on season, visitors can see lotus flowers on the pond. Please check the business time and holidays before you visit. From "Kamakura" station of JR Yokosuka line, take the Keihin Kyuko Bus (Keikyu Bus) bound for Shin-zushi station via Kotsubo. And get off at "Komyo-ji" bus stop, and 1 minutes walk. This shrine was constructed in 1869 by Meiji Emperor and dedicated to Morinaga Shinno (Otonomiya). Please check the business time and holidays before you visit. From "Kamakura" station of JR Yokosuka line, take the Keihin Kyuko Bus (Keikyu Bus) bound for Daito-no-miya (Kamakura-gu). From "Kamakura" station of JR Yokosuka line, 25 minutes walk. This temple was founded in 1296 by a high-ranking priest Shine-Shounin under the sponsorship of HOJO Sadatoki where the OKURA Yakushido sanctuary was built in 1218 by HOJO Yoshitoki. Kakuon temple received consecutive support from rulers including Hojo, Godaigo Emperor, and Ashikaga. Please check the business time and holidays before you visit. From "Kamakura" station of JR Yokosuka line, take the Keihin Kyuko Bus (Keikyu Bus) bound for Daito-no-miya (Kamakura-gu). And get off at "Daito-no-miya" bus stop (about 10 minutes if not crowded), and 10 minutes walk. From "Kamakura" station of JR Yokosuka line, 35 minutes walk. This temple was founded in 1327 by Muso Soseki, under the sponsorship of Nikaido Doun. Because Ashikaga Motouji, the first chief officer of Kamakura Gosho, was buried here, this temple received continual governmental support, which made it one of the ten most powerful temples in the Kanto region. It belongs to the Engakuji faction of the Rinzai Buddhist sect. The garden of this temple is beautiful. Please check the business time and holidays before you visit. From "Kamakura" station of JR Yokosuka line, take the Keihin Kyuko Bus (Keikyu Bus) bound for Daito-no-miya (Kamakura-gu). And get off at "Daito-no-miya" bus stop (about 10 minutes if not crowded), and 15 minutes walk. It was founded in 1188 by Taiko Gyoyu under the sponsorship of Ashikaga Yoshikane. The massive roof over its main sanctuary creates a dignified atmosphere. This temple belongs to the Kenchoji faction of the Rinzai Buddhist sect. 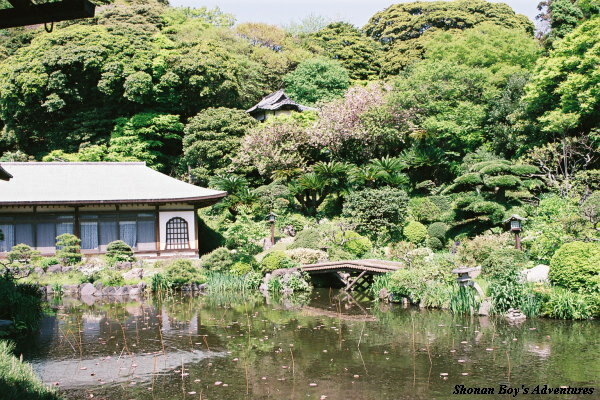 There is the "Ishigama Garden Terrace". Please check the business time and holidays before you visit. From "Kamakura" station of JR Yokosuka line, take the Keihin Kyuko Bus (Keikyu Bus) bound for "Kanazawa Hakkei station" or "Tachiarai" or "Highland". And get off at "Jomyo-ji" bus stop (about 12 minutes if not crowded), and 2 minutes walk. It was founded in 1334 by Tengan Eko reportedly under the sponsorship of ASHIKAGA Ietoki or UESUGI Shigekane. 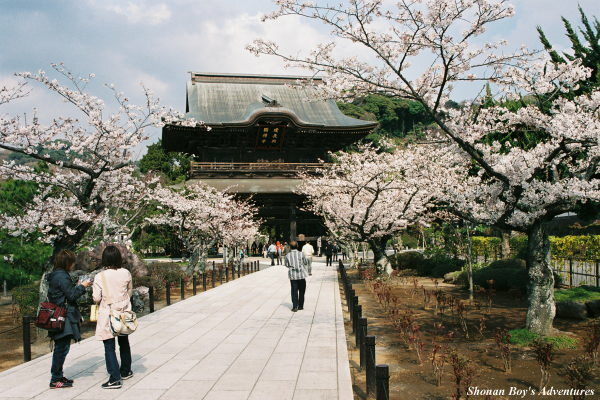 This temple is famous for a beautiful bamboo garden that is laid out behind its main sanctuary. It belongs to the Kenchoji faction of the Rinzai Buddhist sect. Please check the business time and holidays before you visit. 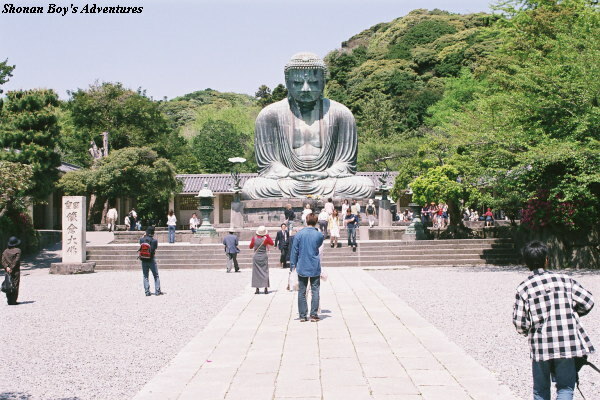 Visit Kamakura, a very popular tourist destination for its temples, shrines, historical monuments. 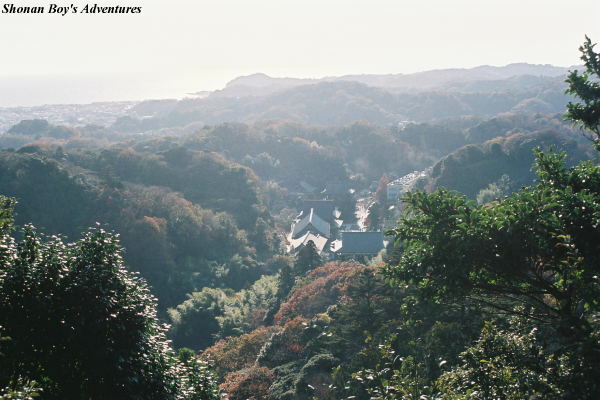 Enjoy a superb view of Kamakura and the sea from Hasedera Temple before taking a short walk to the Great Buddha, the second largest Buddha statue in Japan. 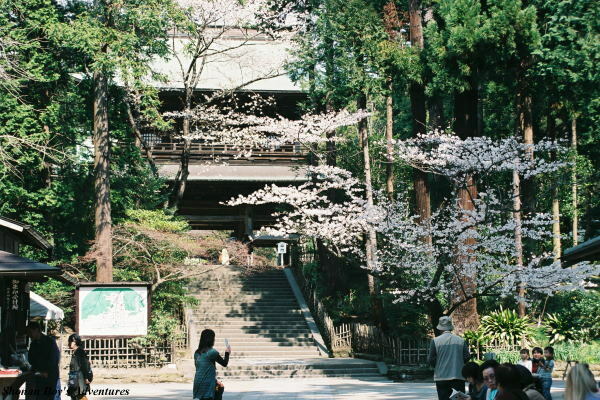 After lunching at a Japanese restaurant, take the Eno-den to Tsuruoka Hachimangu Shrine, the most important shrine in Kamakura. 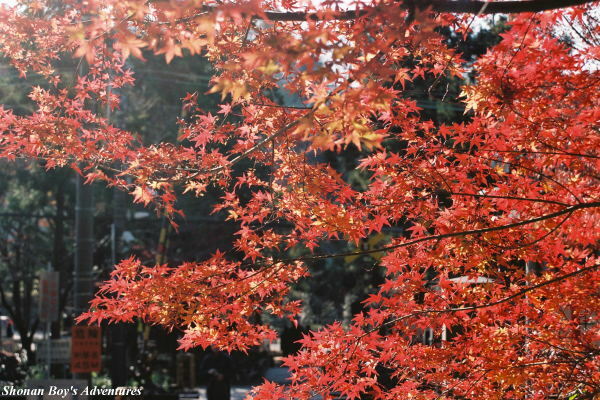 Walk along Wakamiya-oji, famous for the hundreds of cheery trees that line it, to the shrine. 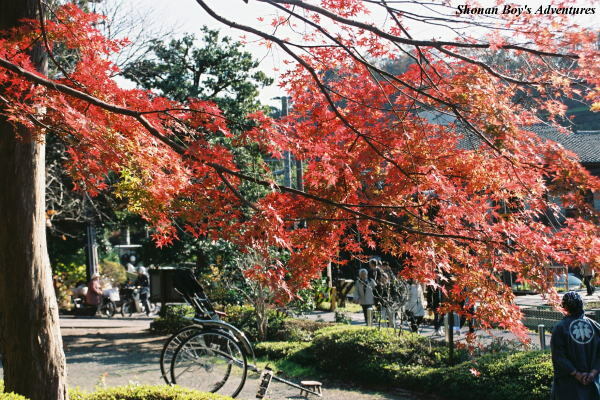 On the way home, stop by Komachi-dori's many arts and crafts shops and tea shops. 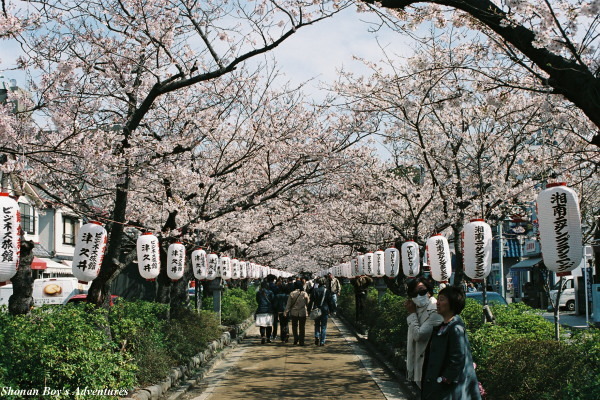 This guided walking tour includes visits to Hasedera Temple, the Great Buddha, and Tsurugaoka Hachimangu Shrine, as well as a ride in a rickshaw.